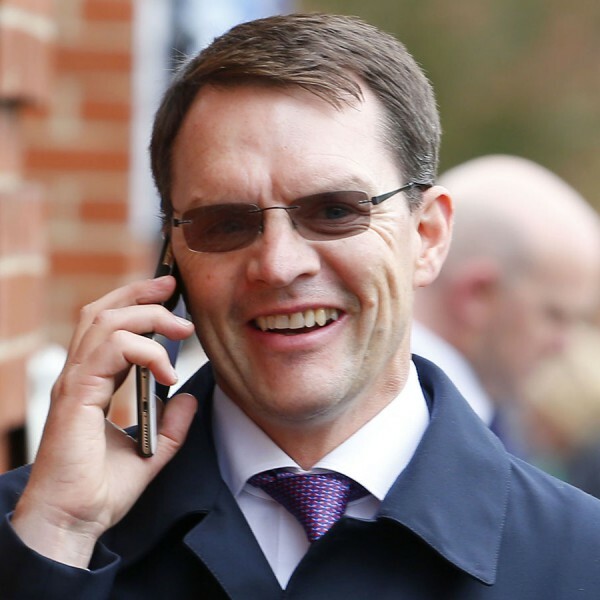 Aidan O’Brien has been the private trainer at Ballydoyle for John Magnier since 1996 and has enjoyed spectacular success in the past 20 years with beautifully bred horses which has led to success creating success. Even by his own standards, he had an astonishing past couple of years. In 2017, his horses won no fewer of the 13 of the 35 QIPCO British Champions Series races and he also achieved a world record 28 Group 1 wins, beating the previous record of 25 Group achieved by the late Bobby Frankel in 2003. The victories of Churchill (QIPCO 2000 Guineas), Winter (QIPCO 1000 Guineas, Coronation Stakes and Qatar Nassau Stakes), Highland Reel (Investec Coronation Cup and Prince of Wales’s Stakes), Wings Of Eagles (Investec Derby), Caravaggio (Commonwealth Cup), Roly Poly (Tattersalls Falmouth Stakes and Kingdom of Bahrain Sun Chariot Stakes), Capri (William Hill St Leger), Order Of St George (QIPCO British Champions Long Distance Cup) and Hydrangea (QIPCO British Champions Fillies & Mares) made a fourth trainers’ title inevitable. And he picked up from where he left off in 2018 when Saxon Warrior won the QIPCO 2000 Guineas. In 2016, his 28 winners in Britain included triumphs in ten of the 35 QIPCO British Champions Series races – all of them Group 1 contests. He ended the year champion trainer for a fifth time with a record prize money haul of £8,130,756 – more than double the tally of his closest pursuers put together. John Gosden, the winner in 2015, was second after accumulating £3,313,206, with Richard Fahey third on £3,144,642. He started as he meant to go on, saddling the first three home in the QIPCO 1000 Guineas. Minding led home Ballydoyle and Alice Springs. Remarkably, he als trained the first three home in the Qatar Prix de l’Arc de Triomphe – Found beating Highland Reel and Order Of St George. Minding’s Guineas win was his 250th Group 1 winner and his 24th British Classic winner, which became 25 when she landed the Oaks. His six Derby heroes have been Galileo (2001), High Chaparral (2002), Camelot (2012), Ruler Of the World (2013) and Australia (2014) and Wings Of Eagles (2017). Galileo has since emerged as the most influential stallion in the world, his outstanding offspring including the mighty Frankel. Minding is herself a daughter of Galileo and she completed a Classic double when subsequently landing the Investec Oaks. Two of the stallion’s sons, US Army Ranger and Idaho, finished second and third for O’Brien in the Investec Derby 24 hours later. Another, Order Of St George, made no mistake in the Gold Cup at Royal Ascot. In his native Ireland, O’Brien has been responsible for 35 Classic winners, saddling the Irish Derby winner no fewer than 11 times. He has enjoyed numerous triumphs in the QIPCO British Champions Series, with his most successful horses in it being Minding, St Nicholas Abbey, So You Think, Camelot, Declaration Of War, Australia and Gleneagles. He has wasted no time making his mark in 2017 – saddling the winners of the QIPCO 2000 Guineas (Churchill), QIPCO 1000 Guineas (Winter) and Investec Coronation Cup (Highland Reel). O’Brien has enjoyed winners at the highest grade in nine different countries. He has chalked up ten winners at the Breeders’ Cup. One of the few big races to elude him has been the Emirates Melbourne Cup. O’Brien is a deep thinker who does not drink alcohol. When asked for future running plans of his horses, he will often make reference to “the lads” – his powerful Coolmore associates who have one eye on the racing and another on their breeding operation. One of six children and the son of a farmer, O’Brien is not related to the legendary Vincent O’Brien, who he succeeded at Ballydoyle. His father, Denis, was a farmer and small-scale trainer in Killegney, County Wexford, where he grew up. He attended Donard National School, located less than a mile from his parents’ home. He subsequently attended secondary school at Good Counsel College, also in County Wexford. O’Brien first started working professionally with horses at P.J. Finn’s racing stables at the Curragh, and then he subsequently worked for Jim Bolger at Coolcullen. O’Brien is married to Anne-Marie, daughter of trainer Joe Crowley. They have four children, with Joseph, Sarah, Ana and Donnacha all becoming jockeys. The most well-known of the quartet is Joseph, who enjoyed giddy days as Ballydoyle’s No 1 rider before announcing he was quitting the saddle in March 2016 to concentrate on his own training career.